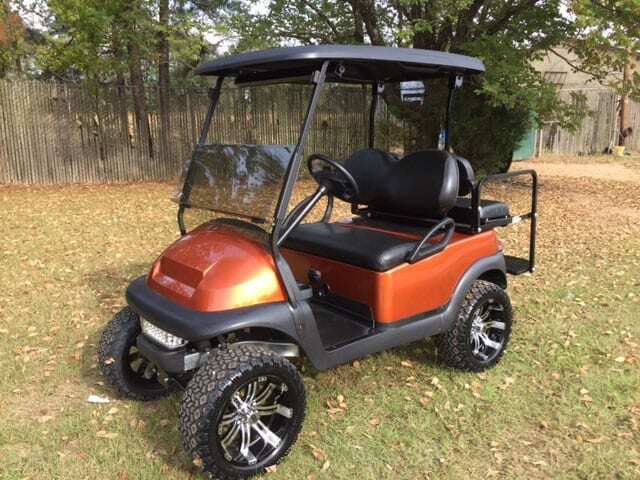 We Sell the Top Golf Cart Brands! 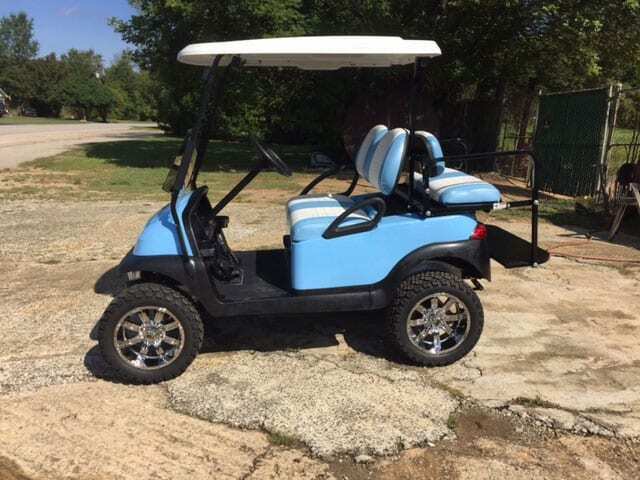 Tab’s Golf Carts has everything you need for your golf cart! 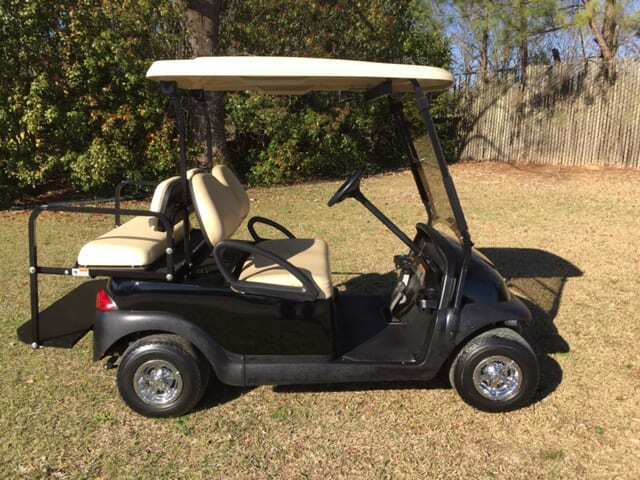 If you’re looking to buy a golf cart, we have a wide variety of stock golf carts to choose from. 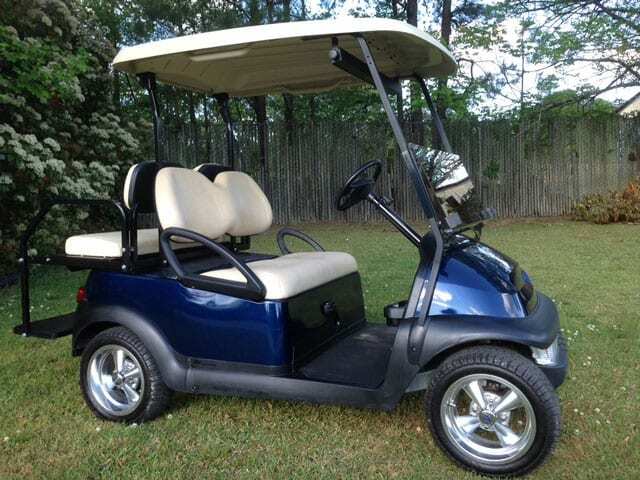 We have the latest models from top brands like Club Car, E-Z-Go, and Yamaha. 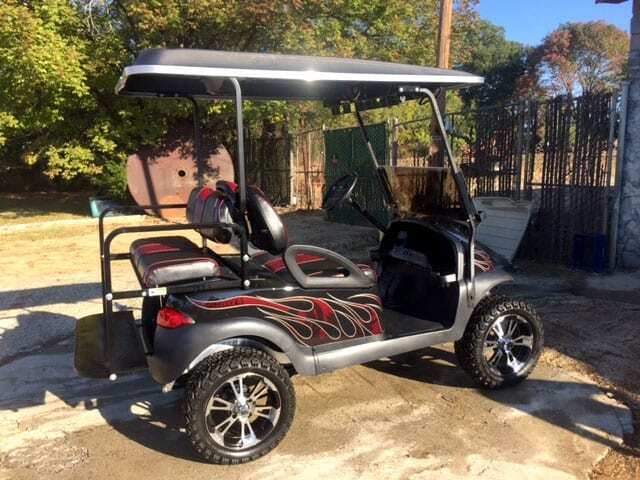 And you won’t have to go to a larger dealer to customize your cart. 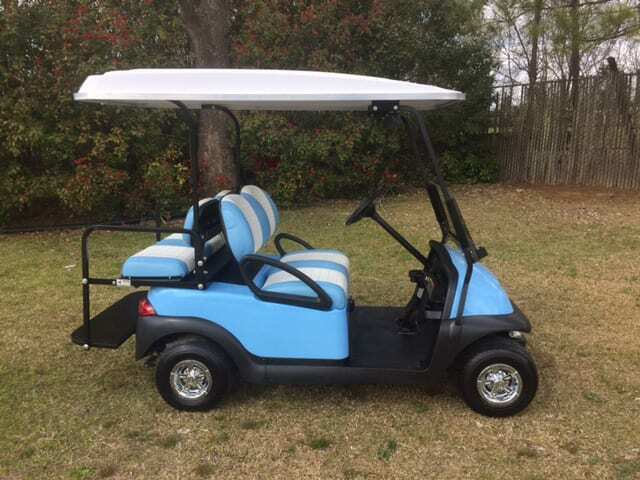 Tab’s can create just the cart you want. 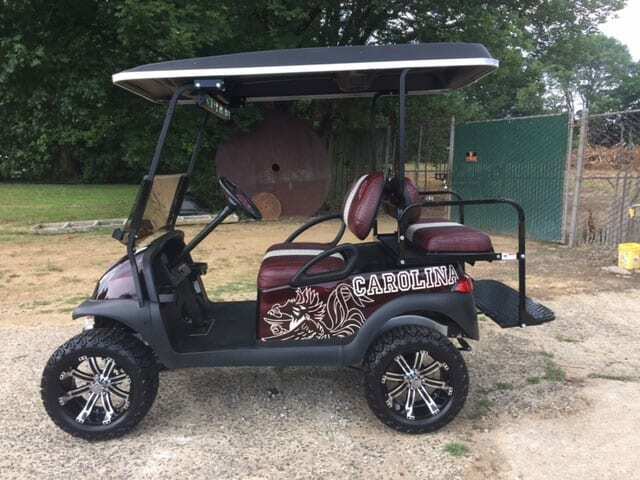 Call us at 803-285-8227 to find out how we can make your cart stand out. 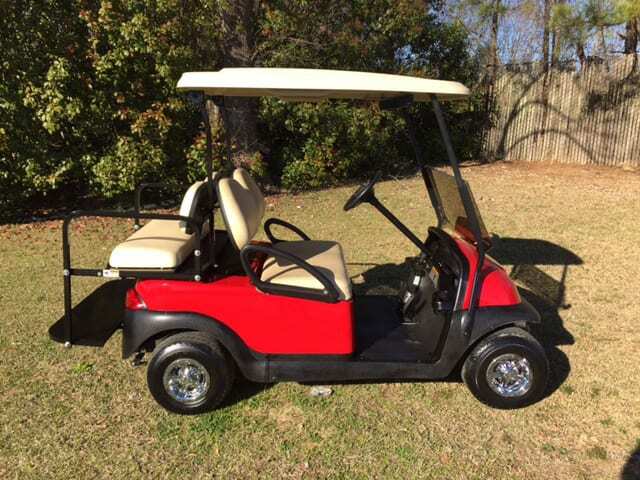 Once you have your cart, you’ll want to keep it in top condition. 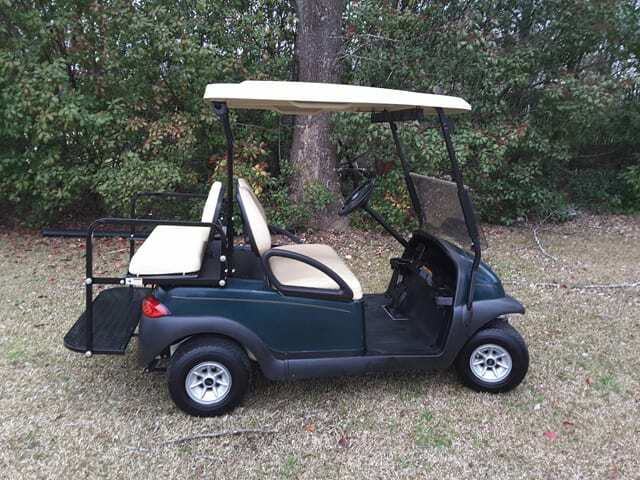 We offer full repair and maintenance services for all brands of golf carts. 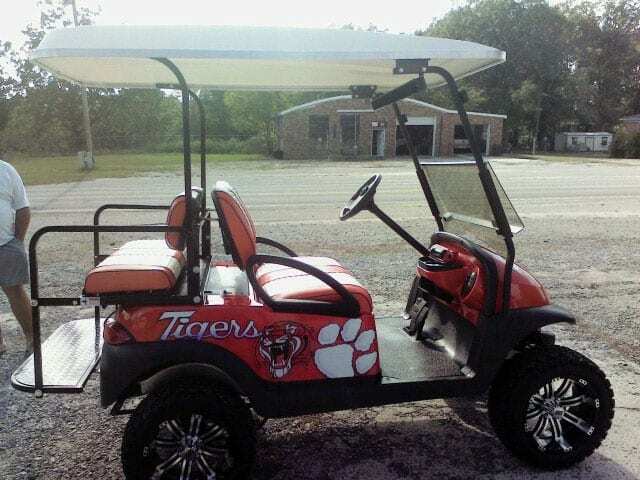 If you can’t get your golf cart to us for service, we’ll come to you. 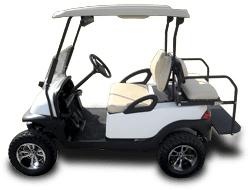 We offer pickup and delivery service as well as onsite service in Lancaster and surrounding counties. All of our sales and service work is backed with a 30-day warranty. 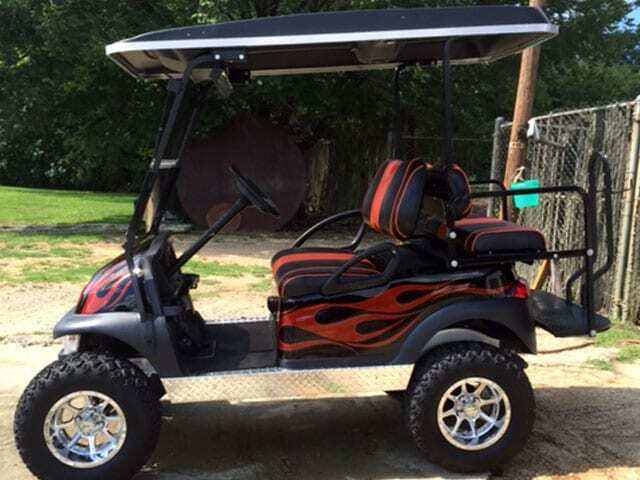 The longer you own your golf cart, the more uses you’ll find for it. 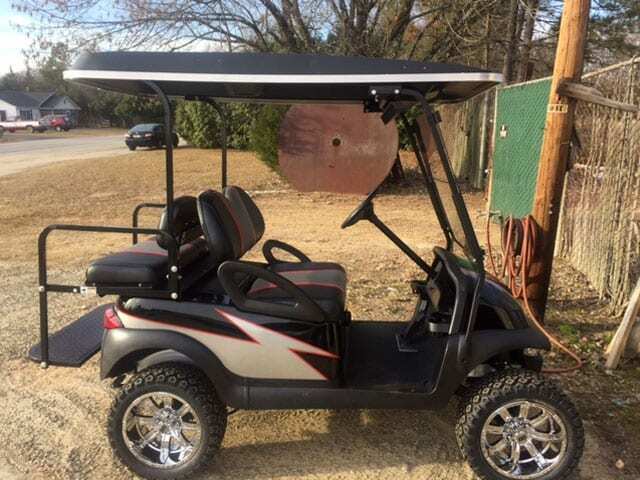 That’s why we carry a full line of golf cart parts and accessories. Add new seats, upgrade your dash, or add a waterproof cover…if we don’t have the parts you need in stock, we’ll order them for you. 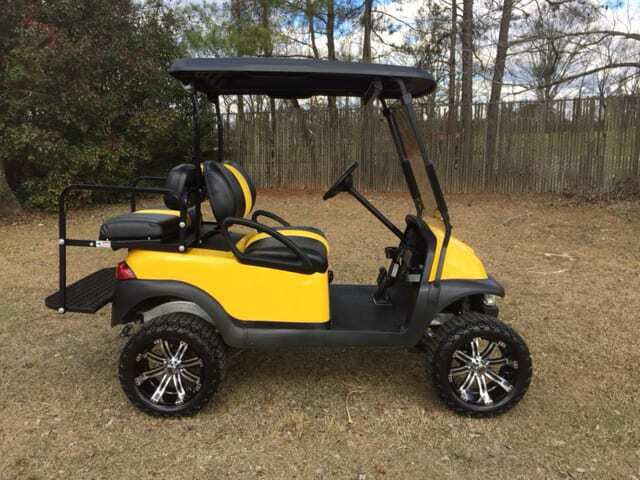 We also sell and install golf cart batteries and tires. 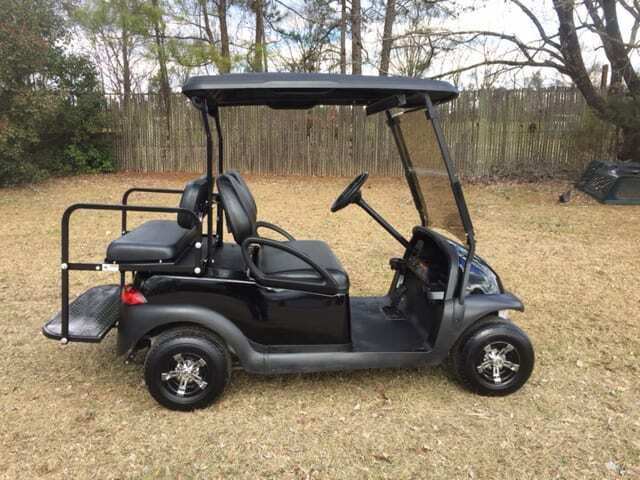 Check out our carts for sale. Contact Tab’s Golf Carts in Lancaster, SC for more details. 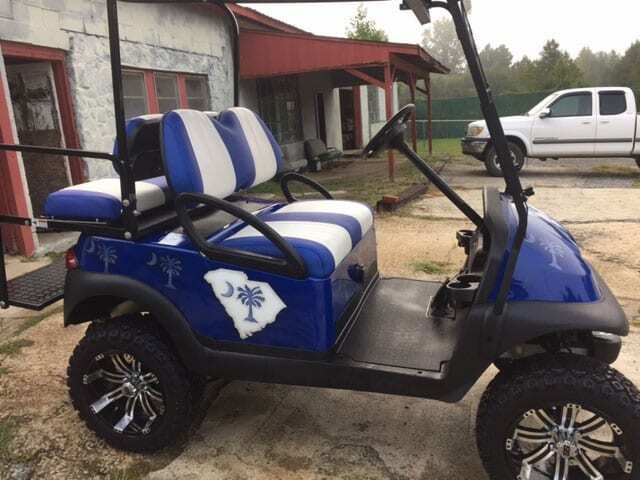 We have more golf carts for sale. 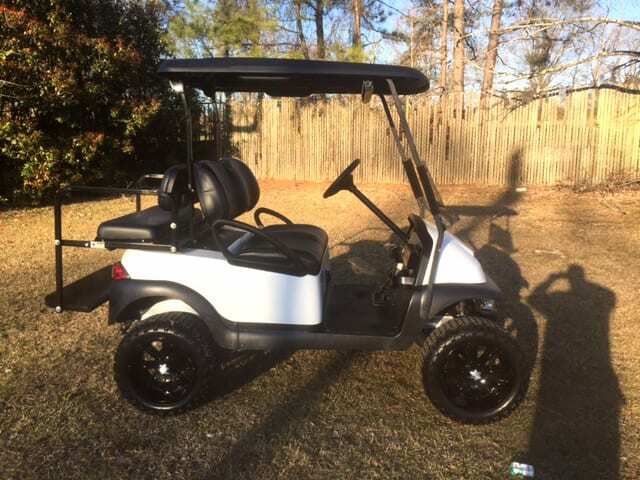 Contact Tab’s Golf Carts in Lancaster, SC for more details.